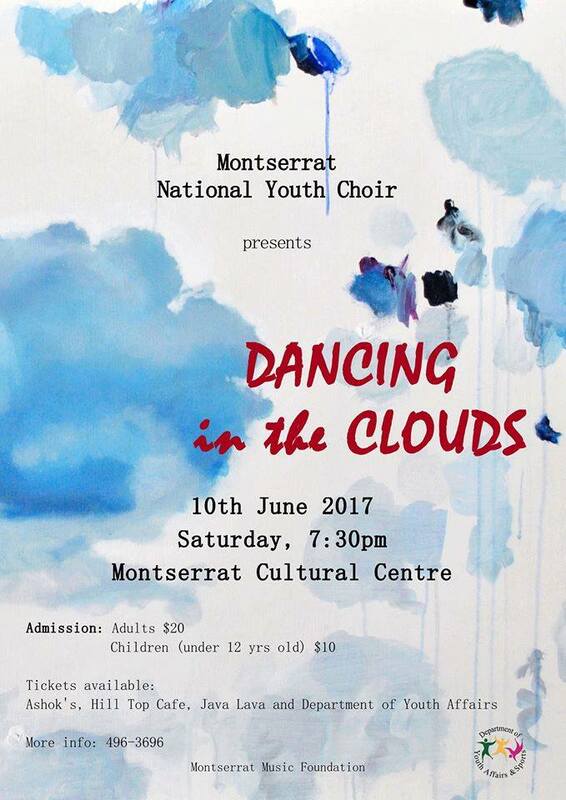 More musical enjoyment is coming our way as the Montserrat National Youth Choir will deliver their latest production this month. Choir director Ines Lapa says the show called “Dancing in the Clouds”, will tell a beautiful story of a dream, through music, dance and video elements. “The 40 students involved have been preparing for it with great enthusiasm and they have been committed to learn a great variety of songs, from The Beatles to Caribbean folk songs, from Simon & Garfunkel to jazz standards,” Lapa said. The National Youth Choir is run by the Montserrat Foundation (Sir George Martin’s charity) and the Department of Youth Affairs and for the last five years it has involved dozens of students from the Primary and Secondary Schools of the island. The concert begins 7:30 PM sharp on Saturday, June 10 at the Montserrat Cultural Centre.